At Orange County CyberKnife, we’re proud to treat patients throughout the greater Orange County area with state-of-the-art, high-quality cancer treatments for virtually every cancer condition. Through the world-class CyberKnife radiation therapy cancer treatment, we’re able to offer one of the most comprehensive and effective cancer treatments in the world, and we take a compassionate approach to patient care. While we’re proud to offer high-quality treatment, the best way to fight cancer is through prevention and early detection. May is Skin Cancer Awareness Month, so to help you take the steps to detect and fight cancer, here are a few simple ways to spot the early stages of skin cancer. 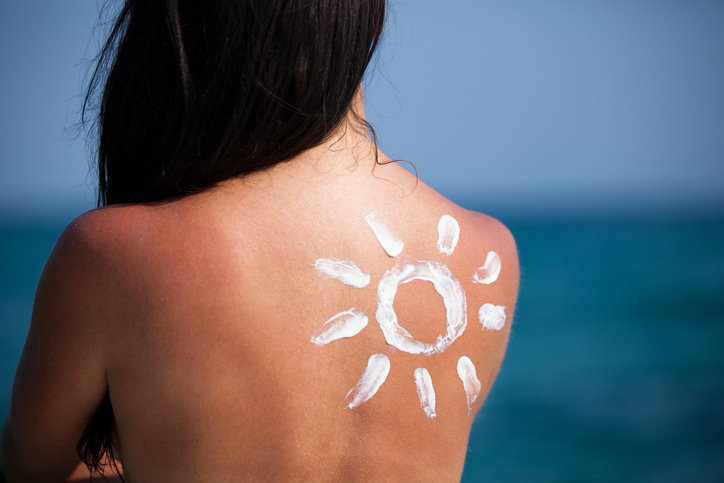 Melanoma, while rarer, is also more dangerous. Thankfully, there’s an easy acronym to remember warning signs for melanoma: just remember your ABCDEs! A – Asymmetry: Melanoma growths may look like moles, but benign moles are always symmetrical. If you spot a mole that isn’t symmetrical, it may be cancerous. B – Border: Benign moles have even, smooth borders, while melanomas have patchy, splotchy, and uneven borders. C – Color: Benign moles are almost always the same color all the way through, often a shade of brown. If you find a mole that has multiple colors, it’s time to get checked out by a doctor. D – Diameter: Generally speaking, benign moles are smaller than melanomas. If you find a mole larger than a pencil eraser (roughly 1/4″), it may be cancerous. E – Evolving: Benign moles don’t grow and will look the same over time – but melanomas change and evolve. If you find a mole changing in shape, size, or color, it’s time to see a doctor. Make sure to check your skin regularly for signs of skin cancer, and keep an eye out for any blemishes that might match these descriptions. Even more benign forms of skin cancer can be deadly if not caught and treated early enough, but with proper early detection and treatment, skin cancer is usually easily treatable. If you ever have questions about the warning signs of skin cancer, the team at OC CyberKnife is happy to help. Feel free to call us at 714.962.7100 if you have any questions, or if you’d like to schedule an appointment at our Orange County cancer care center, you can reach out to us at our contact page. With diligent self-checking, early detection, and world-class care from OC CyberKnife, we can work together to keep you healthy, happy, and cancer-free!